Argan Oil is one of the world’s most precious oils, a beauty secret women of the Moroccan desert have known for centuries. 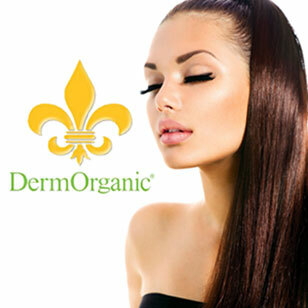 DermOrganic Laboratories, Inc. was founded in 1996 with a goal to provide safe, top-performing products to the international community of hair and skin professionals. DermOrganic formulations are based around naturally-derived ingredients that replicate the elements hair and skin use inside to replenish, refresh and maintain their youthful vigor from the outside. The addition of Argan Oil in the Hair Care regimen (and Argan Extract in the Skin Care) provides additional benefits of Vitamin E and Linoleic acid to protect and moisturize. Our regimen is based on the simple idea that less is more. Only the finest, most essential and fully researched ingredients go into our formulas. The results are youthful-looking hair and skin every day. Salon Sarah is proud to offer DermOrganic to our clients. As expert DermOrganic specialists, we strive to deliver the best products and services in the Georgetown, TX area. Our decision to offer DermOrganic to our valued customers is part of this commitment.